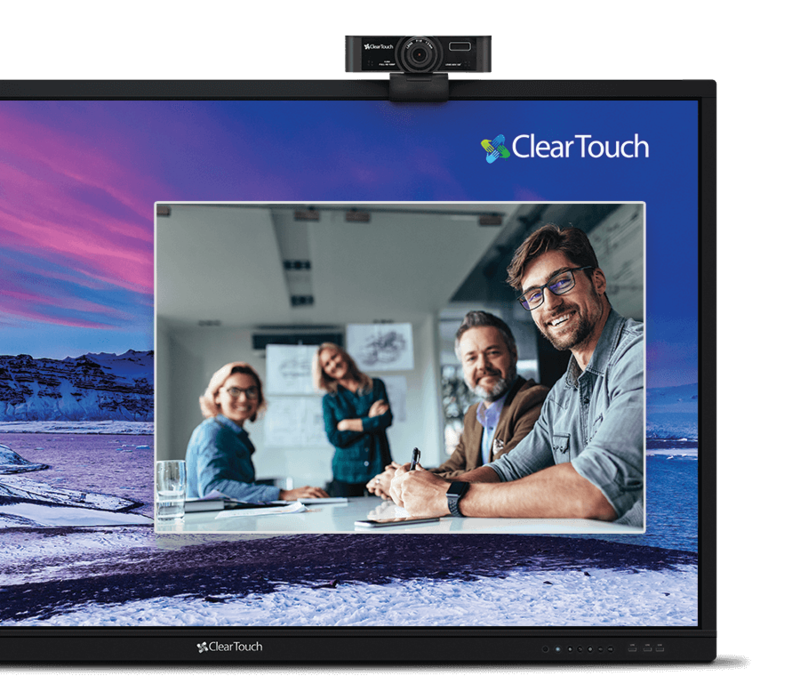 The Clear Touch® web camera extends the business educational capabilities of Clear Touch® panels, allowing for easy video and audio capabilities to your interactive panel. The web camera features wide-angle viewing and built-in microphone so your entire class – or boardroom – can be seen and heard. Wide angle field of view. Maximum horizontal field of view can be 120°. Full-featured USB 2.0 interface,power, video and audio all-in-one. Built-in microphone array to pick up sound equally from all directions. Unique noise reduction algorithm to accurately capture your voice. WDR for various lighting conditions even in the most harsh environments. Featuring a clear and sharp image even in low light environments. Equipped with rotary brackets allowing for easy installation on all Clear Touch® panels as well as third party devices.